School is the best place to learn, make friends, and play together. Vito is still in kindergarten now, but in the next few months he's going to enter a primary school. Alhamdulillah, he’s been officially accepted in one of Islamic private schools in Bandung. At his school now, so many things're done for stimulating children's creativity, one of them is with holding the SSP (Student Self Presenting) every three months. 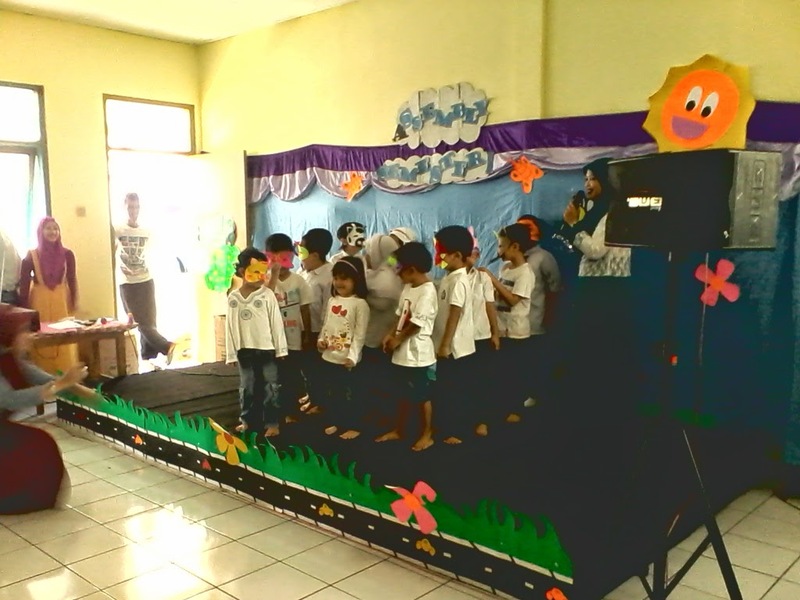 In the previous term, Vito class (Cow class) featuring a dance types of animals, accompanied by the song which also includes the voices of animals that represented by each student. 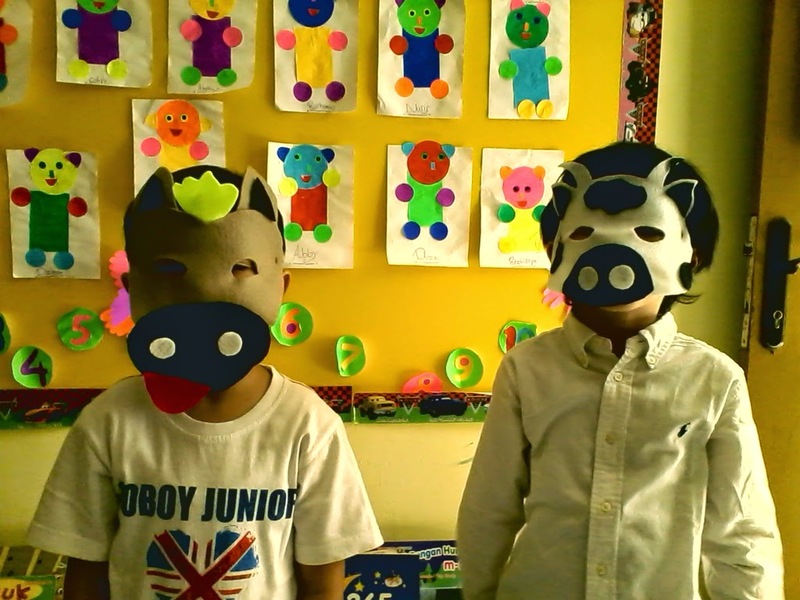 They made their own animals' masks, helped by their class teacher named Ms. Eti. She is very creative in helping children develop good skills in academic and art. Vito played as a cow, and he made a very good mask. Improving children's creativity is very effective in a fun way. The SSP which held by RA HAMKA on each term is very memorable for both parents and students as well. Each class always show their best performances. Kids must be happy acted like animals hihihi. Mine used to play with their siblings did act like that too. They looked silly when make face like a bulldog or some noise like a frog. But at the same time, did something like that good for improving creativity and imagination. 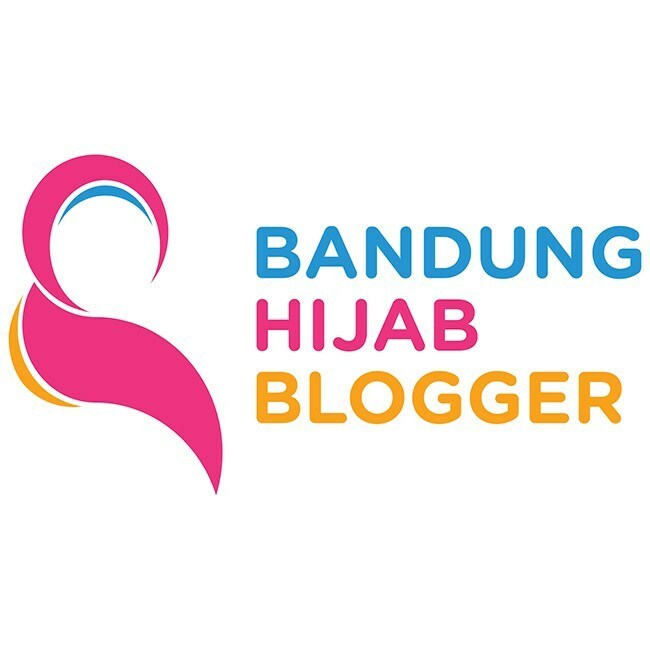 Bagus sebagai lengkah kreatif dan mengenal binatang..